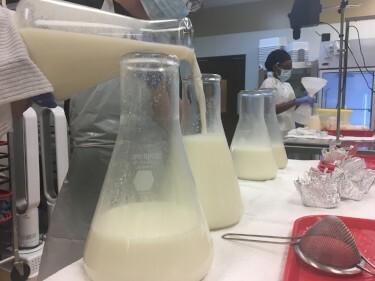 Member milk banks follow strict screening, processing, and dispensing guidelines that were developed by HMBANA in consultation with the Centers for Disease Control and US Food and Drug Administration. Member milk banks also follow the regulations set forth by their state departments of health. HMBANA update these guidelines as needed and regularly assess member milk banks for compliance. Each pasteurization team member thoroughly scrubs her or his hands with antimicrobial soap before putting on gloves. Gloves are always used. Donor milk is carefully transferred from its original storage container to glass flasks before pasteurization. Each pool usually includes human milk from three to five donor mothers. It is thoroughly mixed to ensure an even distribution of nutritional components. 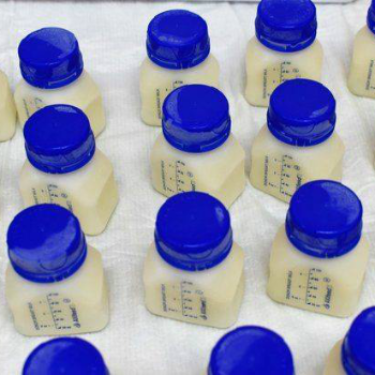 Bottle sizes range from 1.5 to 8 ounces and are filled with human milk prior to pasteurization. All HMBANA donor human milk is pasteurized using the Holder method. This eliminates potentially harmful bacteria while retaining the majority of human milk's beneficial nutrients. 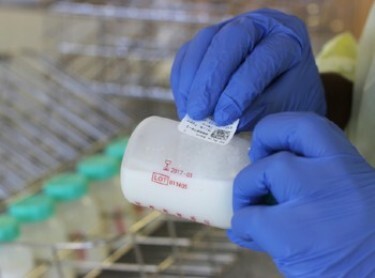 Human milk samples are taken during the pasteurization process and cultured to check for bacterial growth. Any contaminated human milk is discarded. After pasteurization, donor human milk is ready for freezing and storage. It can be dispensed after samples are cultured and show no bacteria growth. The donor milk is then shipped frozen to hospitals and outpatient families.